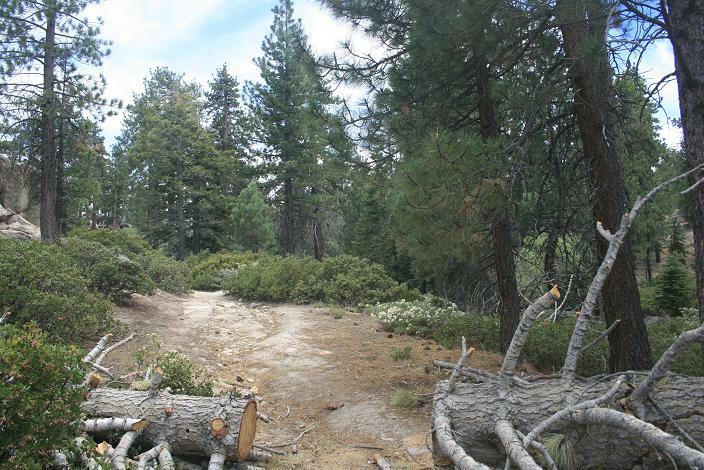 Location: Southwest corner of Big Bear Lake. From the 210 Freeway, take Highway 330 northeast for 15 miles to Highway 18 at Running Springs. 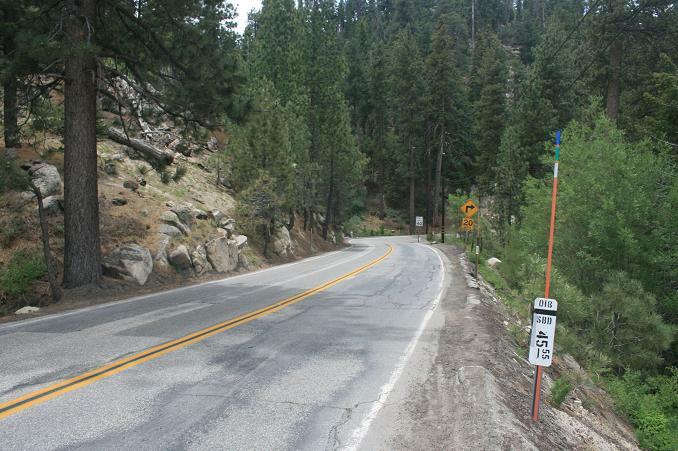 Head east on Highway 18 for 12.4 miles to the intersection with Highway 38 at the western end of Big Bear Lake. Stay right and drive 1.2 miles to a turnout on the left side of the road. If you reach Talbot Drive, you’ve come too far. 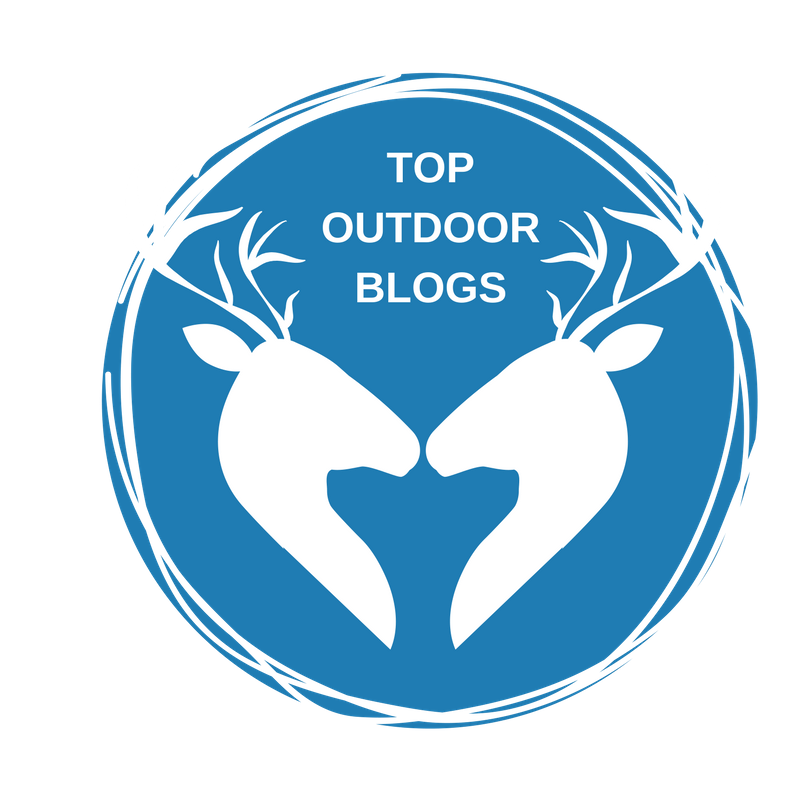 No adventure pass or other permits are required, but it’s advisable to check the links listed below for up to date trail and access information. 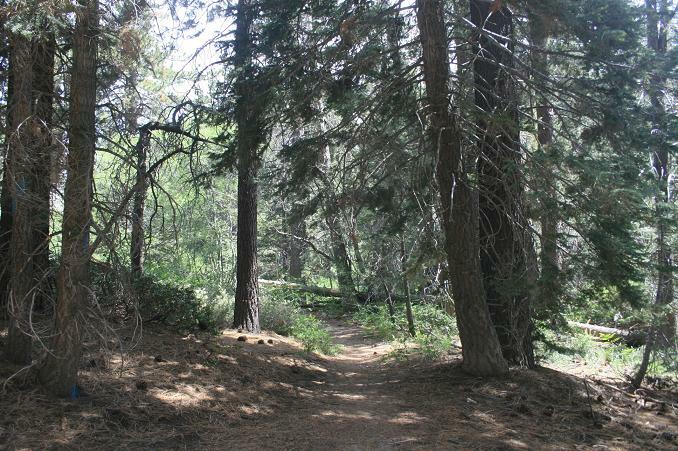 This hike allows you to visit two of the San Bernardino National Forest’s famous landmarks: Castle Rock and the 110-foot Champion Lodgepole Pine. 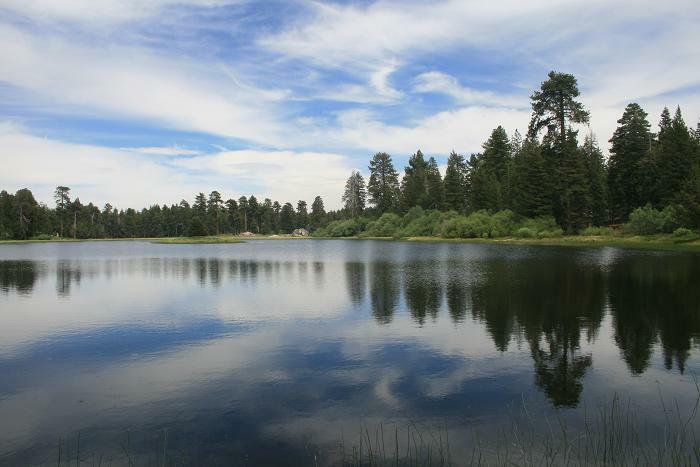 As part of the bargain, you can also visit beautiful Bluff Lake and enjoy some alpine vistas. 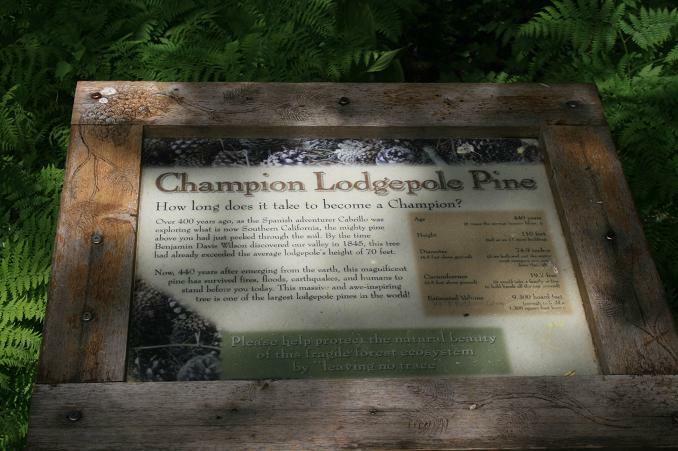 The lodgepole can also be reached with a short, half-mile hike from forest road 2N11, which is a good option for hikers with kids (and a high clearance vehicle for the dirt road.) The route from Highway 18 is challenging, right from the beginning–requiring a crossing of the road–and presents some navigational obstacles, but it’s also very scenically rewarding. 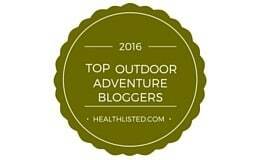 Ideally, use a GPS-enabled device to keep yourself oriented. From the turnout on Highway 18 (GPS coordinates N34 14.202, W116 57.704) head west and cross the road when safe, picking up the trail just past the “Big Bear Lake City Limits” sign. The trail begins its steep ascent, not allowing much time for acclimation to the high altitude (6,700 feet). You climb through a thick forest of pines and oaks. 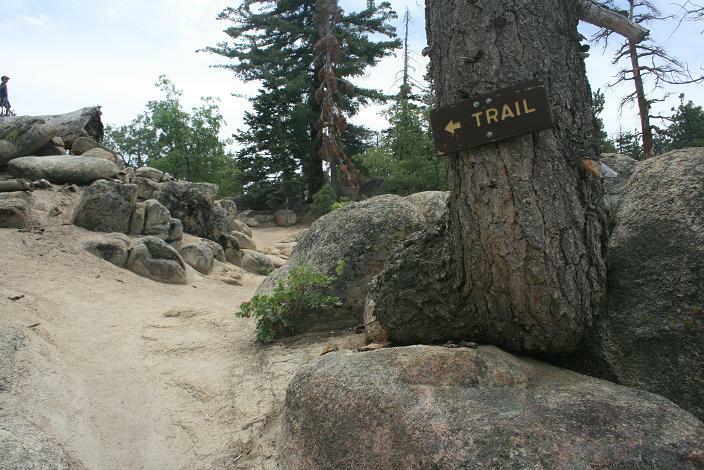 There are a few spots where the trail is ambiguous, but the route continues uphill, and splits usually rejoin each other quickly. 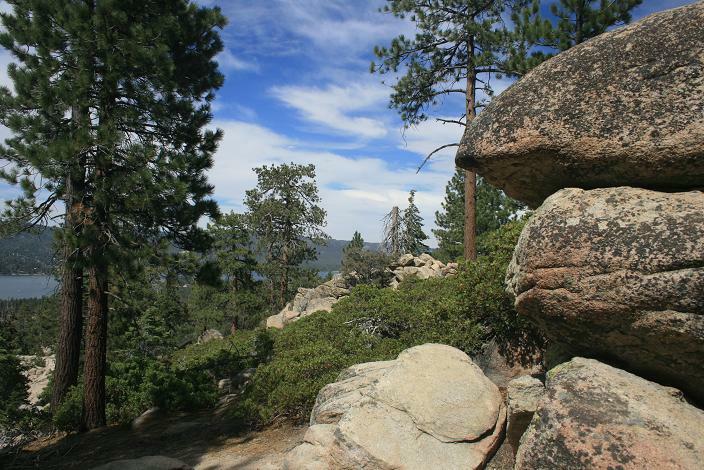 You reach a split where a trail spur heads right toward Castle Rock. 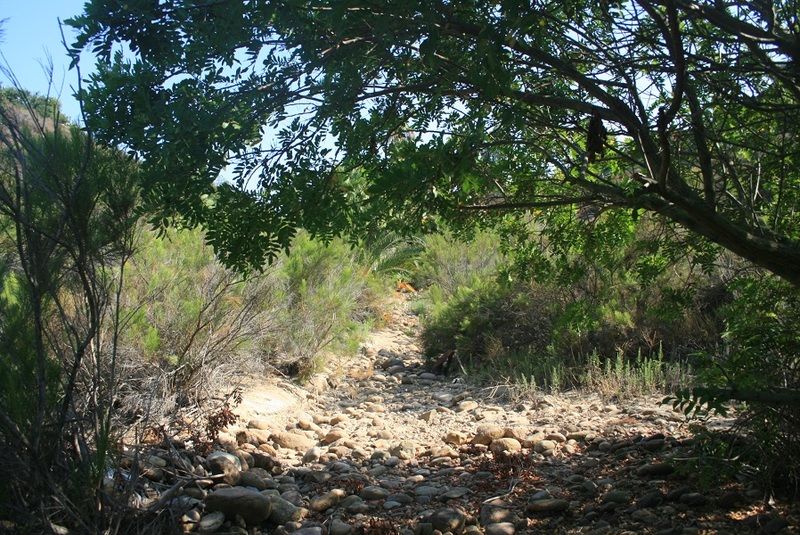 You can take this detour if you want, but to keep on the main trail, head left, slightly downhill toward a stream bed. 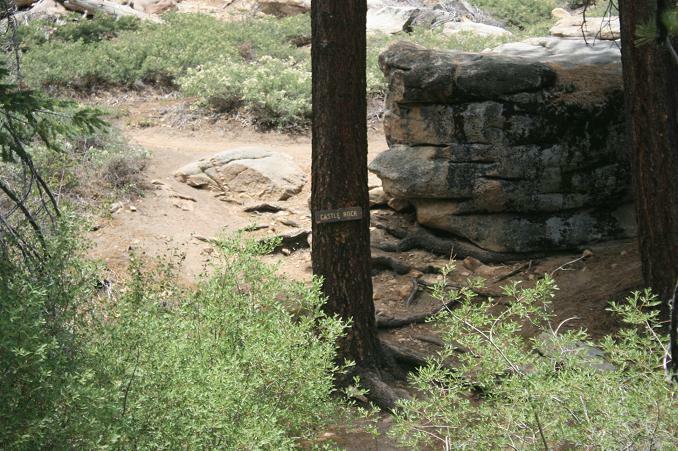 (As of this writing, a large piece of bark placed on a rock points downhill, apparently left as a sort of trail duck.) 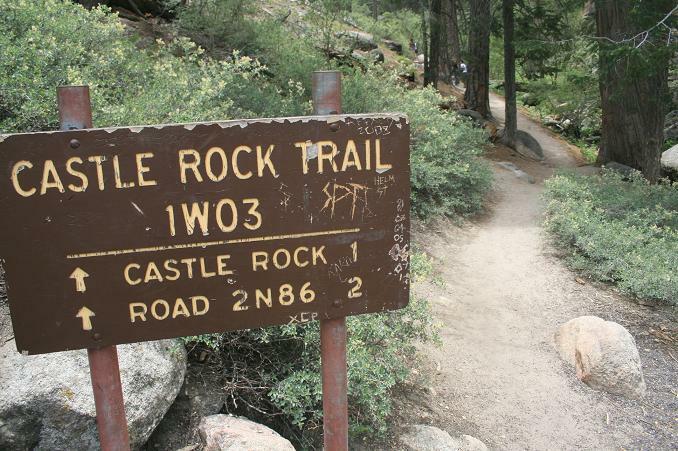 After crossing it, you see another spur heading right, signed for Castle Rock. This will take you to the back side of the rock, which is easier to climb than the front, although still recommended only for those with experience. Castle Rock’s coordinates are N34 13.872, W116 57.694. The Castle Rock trail continues uphill, making a few switchbacks, taking in some nice views of the rock and the lake. Mercifully, it starts leveling out at this point as you make your way through a pleasant forest of Jeffrey pines and firs. 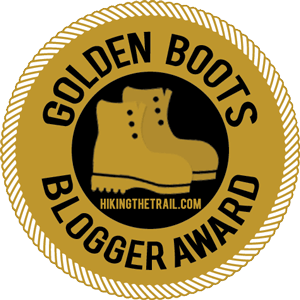 You pass through a split log, departing briefly from the “official” trail which has become somewhat overgrown (but still passable), and at about 1.6 miles from the start, you reach Forest Road 2N10. Turn right and go a short distance to a four-way junction (N34 13.399, W116 57.740). Here, turn left and follow the dirt road, watching out for the occasional car. You soon reach another junction where you turn right, following the signs to the Bluff Lake Preserve. 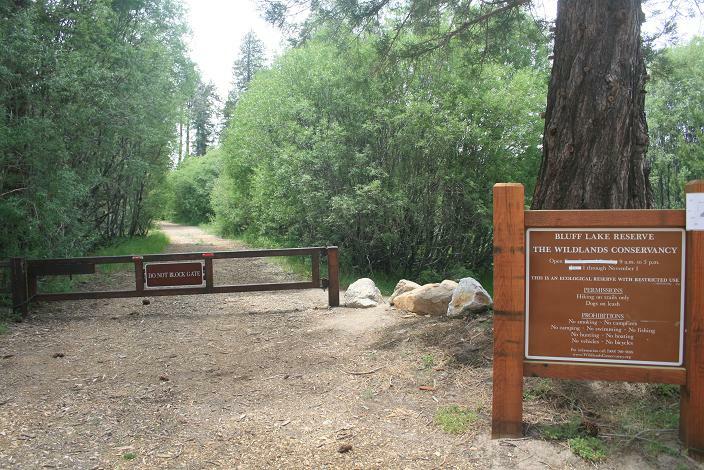 You reach it in half a mile (2.5 miles from the start), pass through the gate and continue following the path around the south side of the lake, passing a picnic area and a private camp facility. At a clearing, you get a great view of the lake. The dirt road continues around the shore, but to get to the lodgepole, turn left and follow the single-track Bluff Mesa Trail (not signed), heading south, climbing over a fallen log. You leave the Bluff Lake Reserve property and head back into the national forest, heading downhill to an unsigned T-junction. 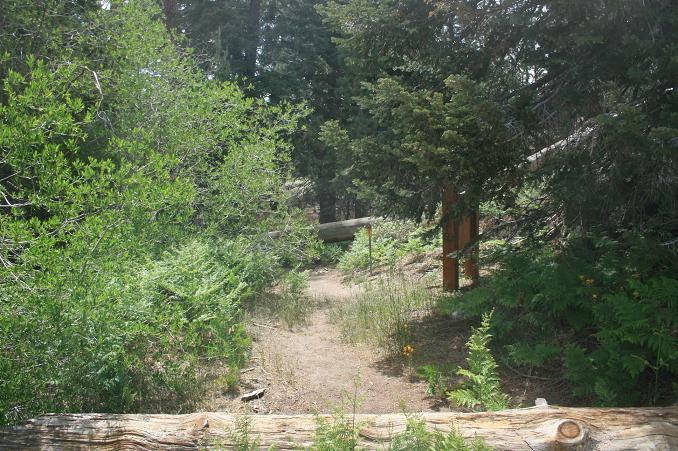 Turn left and follow the trail into a meadow, where you will soon see the fence bordering the Champion Lodgepole Pine (N34.21876, W116.97386). An information plaque provides statistics about the giant tree: it is over 400 years old and has a trunk circumference of almost 20 feet. This is the turnaround point for the hike, although you can continue by heading south to road 2N11 and make a loop by following it back to 2N10. 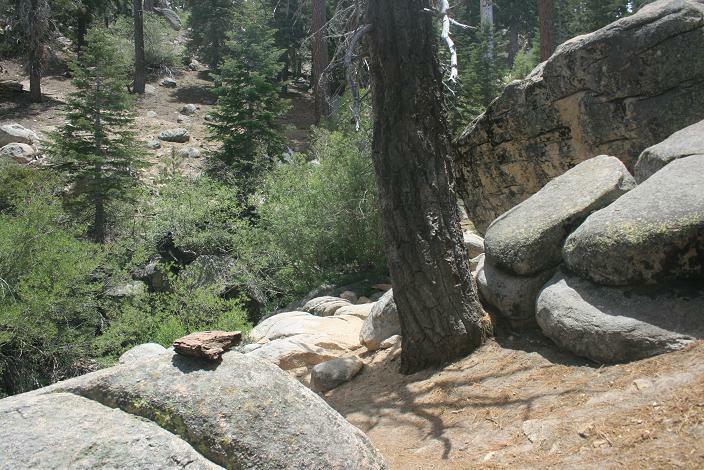 This is one of Southern California’s finest short hikes. With the exception of the dirt roads, the meadow area around the lodgepole and Buff Lake remind me a bit of the Sierra Nevadas. My family and I really enjoy how the terrain becomes fairly level as you get up near Bluff Lake. Thanks for the heads-up. I had mistakenly typed coordinates from a different waypoint in the guidebook.